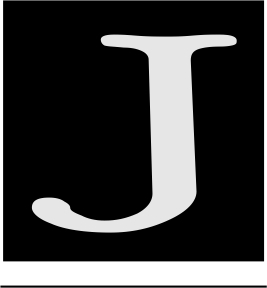 Just World Books, 2014, 310 pp. ournalist-scholar Gareth Porter has published another fine book on U.S. aggression, Manufactured Crisis: The Untold Story of the Iran Nuclear Scare, which follows in the footsteps of his 2005 study, The Perils of Dominance. The earlier book had as its main theme the idea that dominant U.S. military power in the 1950s and 1960s caused the U.S. leadership to believe that the threat of indefinite escalation would induce their Vietnamese enemy to surrender on U.S. terms, which the Vietnamese refused to do (his subtitle was Imbalance of Power and the Road to War in Vietnam). 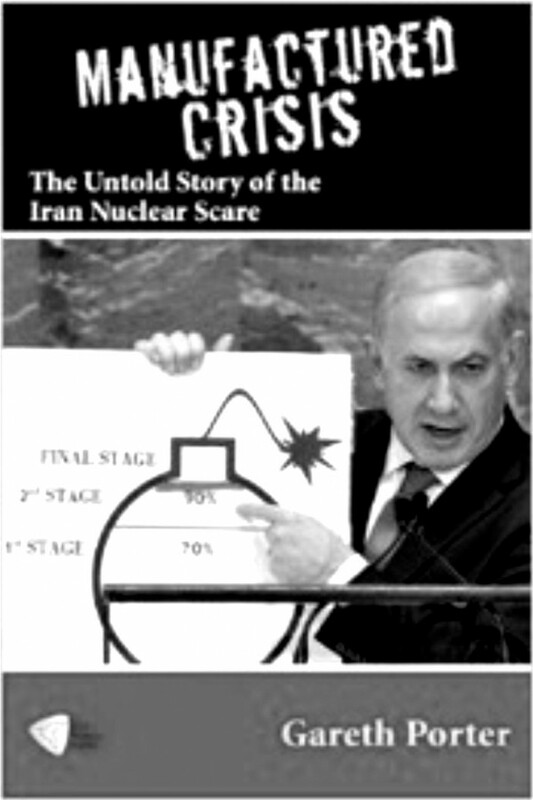 A main theme of the new book is that U.S. power has permitted it to bully and manipulate the UN, the International Atomic Energy Agency (IAEA) and other elements of the “international community,” with the collaboration of Israel and its other Western allies, into selective harassment and even low-level warfare against Iran for its alleged quest for nuclear weapons. A semi-permanent crisis has been manufactured and institutionalized by the militarily dominant world bully, damaging the well-being of millions of Iranian civilians and posing the threat of open warfare. Porter points out that the United States was highly supportive of the nuclear program of the Shah of Iran, who had plans for 23 nuclear power stations at the time of his 1979 ouster. Following that political change the United States quickly turned from encouraging Iran’s nuclear program to active hostility, going to great pains to discourage any material or technology transfers to the new regime, even browbeating suppliers from fulfilling contracts that would have permitted Iran to complete its single nuclear reactor. There is no reason to disbelieve the Iranian claim that its aims initially were confined to completing its plant at Bushehr and continuing the operation of its Tehran Research Reactor for medical services. Porter makes the important point that the eventual Iranian effort to enrich uranium at home was a result of that Reagan era refusal to allow Iran to import that material. The refusal to allow Iranian imports of nuclear materials was also a denial of its rights under the Nuclear Non-Proliferation Treaty. In the early years of the U.S. boycott of nuclear materials and know-how there was no suggestion that this was out of fear of weaponization. It was just hostility to a government that had replaced a U.S. puppet and was independent, i.e., no longer a U.S. client. This U.S. hostility was displayed early in the Carter administration’s failure to try to stop the Iraqi invasion of Iran, for which the United States had advance notice in 1980. There was the hope that this war would bleed Iran and perhaps even overthrow the regime. Porter quotes Walter Mondale: “We believed that this war would put further pressure on the Iranian regime.” Reagan-era hostility went far in supplying Iraq with war materials, including cluster bombs, providing strategic advice, and working to persuade other countries not to supply arms to Iran. This country made no protest at Iraq’s massive use of chemical weapons against Iranian troops and civilians. Porter notes that the Iranians did not retaliate with their own chemical weapons and he points out later that there is no evidence that the Islamic Republic has ever built any chemical weapons capability. The Islamic leadership of Iran has repeatedly declared that both chemical and nuclear weapons are immoral and Ayatollah Ali Khamenei issued a fatwah in 2003 declaring that the development and use of nuclear weapons was contrary to Islamic principles. This non-use of chemical weapons in the 1980s and declarations of the religious-morality-based prohibition of both chemical and nuclear weapons has been awkward for the Western warriors, so they and the media have solved this problem by occasional sneers and declarations of disbelief in the sincerity of these fatwahs, but mainly refusal to discuss. In 1983, the Reagan administration obtained a cancellation of an IAEA program of aid to the Iranian nuclear program, which was the beginning of a systematic U.S. effort to prevent any international assistance to Iran’s nuclear activities. It was a part of a de facto war against Iran with geopolitical objectives and not directed to any perceived menace of a nuclear weapons program. This, and the durable program of denial that followed, was a denial of Iran’s legal rights under the NPT. But the United States could not only get away with pursuing this denial, it could build on it. Because of U.S. power and hostility, whatever Iran did in the way of acquiring nuclear materials or technology could be portrayed as sinister; suppliers to Iran would be demonized and pressured. The IAEA was gradually transformed into a U.S. instrument of attack on Iran. Porter tells the story of how Mohamed ElBaradei, long- time head of the IAEA (1997-2009), fought a long battle to prevent the IAEA from becoming a pure instrument of U.S. policy, but under such pressure, the IAEA was made into such an instrument anyway, though becoming more blatantly so with his resignation and replacement by Yukiya Amano in July 2009. Because of these hostile reactions to any of its nuclear transactions, along with Israel’s public threats, beginning in 1997, to bomb Iran’s nuclear facilities, Iran was secretive about some of its actions. This opened up greater possibilities of demonization and proofs of evil intentions underlying its program. Porter describes a stream of such accusations and proofs of dishonorable Iranian behavior. An early one was the 2002 disclosure to the media of an unpublicized Iranian facility being built at Natanz, possibly to produce enriched uranium. This public disclosure occurred before the deadline by which Iran had to notify the IAEA, but the propaganda system made the most of it. Significantly, the initial publicity was provided by the Mujahedeen-el-Khalq (MEK), a terrorist organization in the Clinton years, but taken off and transformed into freedom fighters by the Obama administration. The disclosure by MEK was based on information supplied by Israel based on satellite photos. The media gobbled it up. The U.S. Iran policy of regime, made explicit during the Bush-Cheney years, resulte in unrelenting hostility toward and demonization of the Iranian government. The Bush administration expected to attack Iran once they had with Iraq, but the setback in Iraq not only stalled this invasion plan, it made it harder for them to get the Iran threat brought before the Security Council. But throughout the Bush years, and in the decades that followed, the United States and Israel kept up a tattoo of charges against Iran that required more inspections and created the moral atmosphere of a patient West dealing with a genuine menace. Of course, the charges against Iran now featured their alleged pursuit of nuclear weapons, which made their evasions more menacing. There was in consequence a long and intensive effort to produce evidence or claim that weaponization charges were credible even if not verified, so as to allow harsher penalties and possible military action against Iran. Porter deals in detail with a number of these episodes and finds all of them fraudulent. Notable was the “laptop documents” of 2004, that showed Iranian weaponization work, which mysteriously fell into U.S. hands, supposedly provided by an Iranian engineer and spy, who never made a personal appearance. These documents once again were supplied by MEK, which got them once again from Israel. There were also internal inconsistencies and other problems with these documents that caused the German secret service agency BND to regard them as in the same class with the spurious information given them by “Curveball” prior to the Iraq invasion. It is notable that Colin Powell used the Curveball claims in his false testimony on the Iraq threat at the UN in February 2003 and in 2004 once again cited Curveball 2 in supporting the Bush administration charges against Iran. There were many other claims of an Iranian pursuit of nuclear weapons and there was a steady struggle both within the IAEA and U.S. and Israeli intelligence agencies on this issue. But no hard evidence was ever produced and quite a few intelligence experts claimed that there was no evidence of an Iranian pursuit of weapons, although they might be aiming at a weapons capability. Porter emphasizes the important institutional bias of the experts in this field toward finding the results their political superiors wanted, and those superiors wanted to find Iranian nuclear weapons or weapons programs. The struggles just noted were a result of the fact that Iran wasn’t pursuing nuclear weapons, so that created a serious difficulty for those experts with integrity. But the latter regularly lost out and intelligence reports regularly ended with claims that Iran was pursuing nuclear weapons (see Chapter 9, “Intelligence Failure”). Porter stresses throughout the important role the mainstream media have played in manufacturing the Iran crisis. Like the experts the media also have institutional pressures that cause them to get on official bandwagons and to avoid challenging claims against demonized enemies. Porter has scores of illustrations of cases of media gullibility and of journalists often going beyond official claims to make the demon even more nefarious. 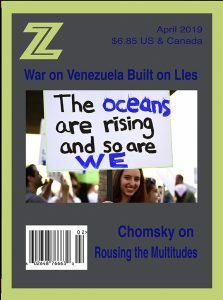 The most prominent media propagandists shown up in his book are David Sanger, Ethan Bronner, and William Broad of the New York Times, Carla Anne Robbins of the Wall Street Journal, Joby Warrick, David Ignatius, and Robin Wright of the Washington Post, and Melissa Block and Mike Schuster of NPR. The other major actors in this manufactured crisis are the leaders of Israel, most notably Benjamin Netanyahu and Ehud Barak. They have played the Iran nuclear threat card for years, although many Israeli analysts consider the threat inflated and/or manageable. But it is very useful for distracting attention away from the ongoing ethnic cleansing of Palestine by portraying Israel as under siege and threat of another Holocaust. It has worked well and has helped maintain the Iran threat at a high pitch. Clinton threw his weight into this campaign to win Israeli and hence U.S. legislative support and it has put great pressure on Obama. Porter spells out the confusion and contradictions in Obama’s policy toward Iran. While initially talking about direct negotiations and a new relationship with Iran in public, he secretly gave a go ahead to a joint U.S.-Israeli cyber-warfare program to disable Iran’s Natanz facility, which was actually carried out and he adopted a hard line policy on negotiations and sanctions. Porter contends that Obama did this in collusion with Netanyahu in exchange for the latter’s promise to freeze settlements on the West Bank, which Netanyahu never fulfilled. Porter also contends that Obama and Netanyahu colluded on a phony war crisis whereby Netanyahu would threaten an attack on Iran and the U.S. would not oppose it publicly, but with the understanding that Netanyahu would not attack—the point being to worry Iran and also worry Russia and China into agreeing to more severe sanctions on Iran. The Obama-Netanyahu alliance eventually fell apart because Netanyahu failed to carry out his part of the agreement and also over-reached in putting pressure on Obama. Netanyahu counted on a Republican electoral victory in 2012 and called on AIPAC and his political allies in congress to force Obama to accept a “red line” beyond which the military option would enter the picture. Following the election, Obama backed off from the phony war crisis plan and he made it clear that he was not committed to the red line and war option and couldn’t be counted on to follow Netanyahu into war. Porter gives great weight to the June 2013 election of Hassan Rouhani as president of Iran, which he believes opened up new peace possibilities. Obama welcomed this election and negotiations soon followed in the course of which Iran made a series of concessions to assure the West that it would not be approaching a nuclear weapons capability (Porter summarizes these in an Epilogue). Porter is qualifiedly optimistic that an agreement might be reached, but he points out the great power of the pro-war forces and the political costs an agreement might impose on Obama, amplified by the fact that he and his staff had engaged in a demonization of Iran that made it hard for him to support an agreement except on strictly pragmatic grounds. But he ends on a hopeful note. evidence and factual detail in making his cases and effectively refuting the claims of the manufacturers of the crisis. In some respects this makes his book more powerful and likely to be taken seriously by members of the establishment. On the other hand, it sacrifices some of the drama and larger meanings of his findings. For example, he points out that the Israelis have carried out a number of assassinations of Iranian scientists and that the Israelis and United States have had positive relations with MEK, a terrorist organization that has participated in the manufacture of a crisis. But he does not use the words terrorist or sponsor of terrorism to describe Israel and the United States. Similarly, he notes that the Israeli-U.S. insertion of a computer virus into the Natanz plant was “the first national cyber attack to be aimed at the actual destruction of civilian infrastructure in another country.” But he does not call this an act of terrorism or aggression. He has many pages describing the frequent Israeli threats to bomb Iran’s nuclear facilities and U.S. connivance in this program, but he does not point out that such a threat is itself an act of aggression in violation of the UN Charter. So is the sanctions program, designed to make Iranian civilians suffer in order to coerce the Iranian government into bargaining concessions or to facilitate regime change. It is also notable that the head of the UN has not objected at all to these acts that violate the UN Charter, although that is the instrument that supposedly guides his work. He works, in fact, for the prime violators of the Charter. So this is not merely a manufactured crisis, it is a joint criminal enterprise that is not yet at an end. But, like Porter, we may hope that it is or soon will be. Edward S. Herman is an economist and media analyst with a specialty in corporate and regulatory issues as well as political economy and the media. He is Professor Emeritus of Finance at the Wharton School of the University of Pennsylvania and teaches at Annenberg School for Communication at the University of Pennsylvania. His books include: The Global Media (with Robert McChesney), The Myth of The Liberal Media: An Edward Herman Reader, The Politics of Genocide (with David Peterson), and Manufacturing Consent (with Noam Chomsky).